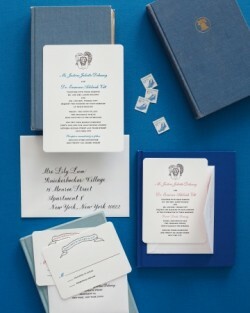 Sesame Letterpress on Martha Stewart Weddings! We really love being featured in any Martha Stewart magazine or website. We are over the moon to have our stationery included in a photo story about Justine and Eamonn's wedding. They are a really glamorous couple (just check out her stunning Jenny Packham wedding dress - swoon!). So we wanted to work with them to design an invitation and stationery suite that would reflect the vibe of their summertime New York wedding. See more photos from this gorgeous wedding by clicking here.